Welcome to WINE TASTE AT HOME ! What wines goes best with …? Will I like this wine I haven’t tasted before? Is this wine a good value? If you have ever had these questions, we want to help you learn about wine at home by tasting different wines. By tasting wines at home which you might not normally choose, you will be able to determine what you like best and expand your tastes to new and more exciting wines. You can then enjoy some of your new choices either at home, out in restaurants or at other social events. 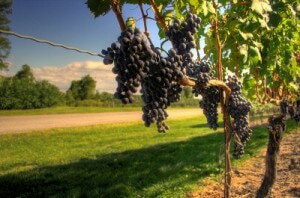 To expand your wine horizons you will want to learn more about different grapes, wine growing conditions and winemaking techniques. Then you will be better able to select a previously untasted wine and enjoy it. Ultimately, however, you have to taste different wines to discover your own personal tastes. Whether you are a wine enthusiast, a vintage collector, a traditional wine lover, a sipper, a wine bargain hunter or a confused newbie, we have something for you. Check out our pages and give us feedback as to what else about wine you might want to know. Start by clicking on the choices at the top of the page. Work your way through the material until you are ready to have a winetasting event at your own home. Pretty soon you will feel more confident about what wines to serve a social gatherings you host as well as selecting wines from the retail store or out in a restaurant. The more you learn about various grape varietals and winegrowing areas, the more you will discover your personal tastes and can discuss wine with other enthusiasts. You may even begin to help advise your friends on their wine choices.